Even highly creative people run out of steam sometimes. The pressure of deadlines and budgets do nothing to stimulate creativity or innovation. That, combined with not having enough time working together as a team, can mean hitting a creative wall! In order to problem solve and innovate, it’s important to look at things from different perspectives. Also remove assumptions and ask questions. Magic forces us to re-think what we know because we’re seeing the impossible… that pen didn’t just vanish into thin air, right? But when you see illusions from the magician’s perspective, a whole new world of understanding opens up. Magic can train the brain to be more creative by inducing wonder: I wonder how the magician did that? The sense of wonder leads to curiosity. And in turn, curiosity opens the door to problem solving, innovation and creativity. 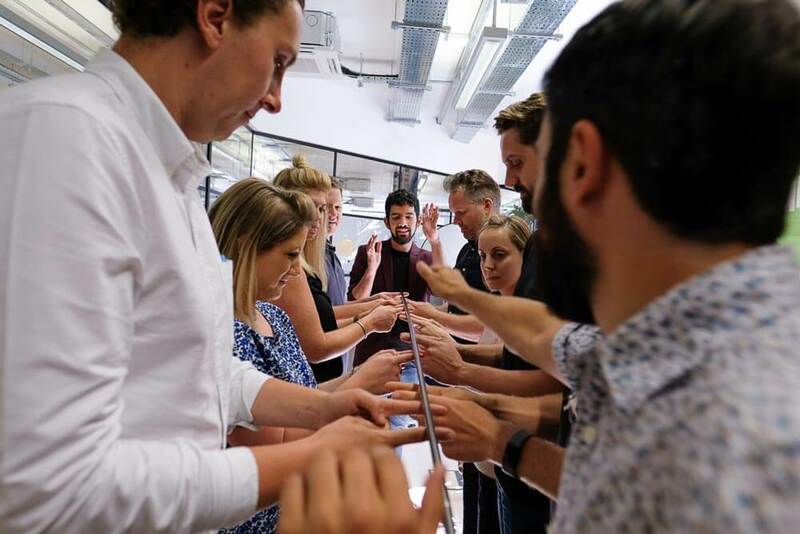 The sample learning journey on the right helps people boost their creative thinking and collaboration in teams. The wonders and wows induced by magic are best experienced in person. 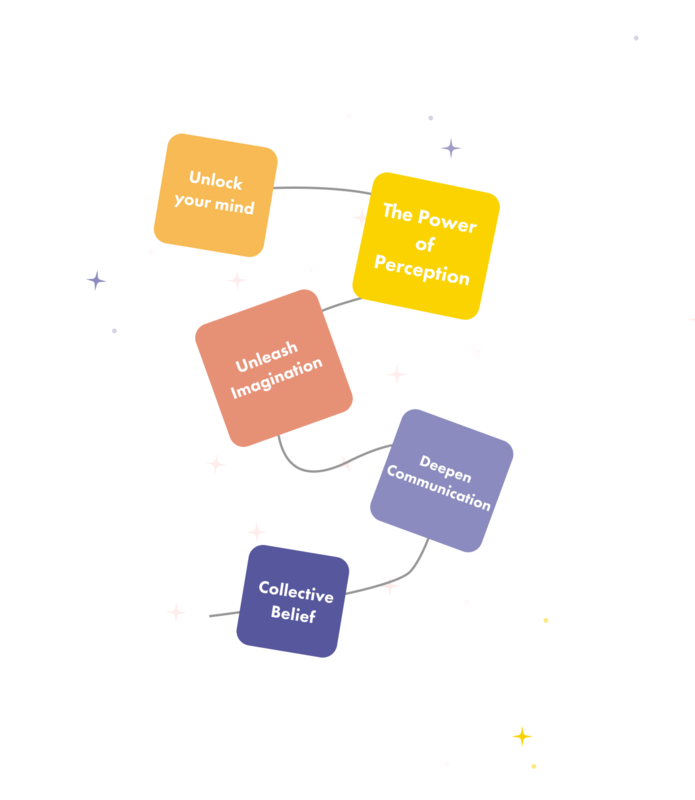 Explore the neuroscience behind magic and how we go from wonder to creativity. Develop key communication skills to ensure miscommunication disappears! Enhance how your team works together. Get tools to create collective awareness, trust and synergy. Having an open and curious mindset gives people the courage to experiment, fail, and try again. Learn problem solving techniques and get tools to overcome creative blocks. Understand the elements that enable effective and fun collaboration. Enhance communication skills to build trust and problem solve together. With the right mindset, anything is possible. We create positive attitudes to unleash creative thinking. 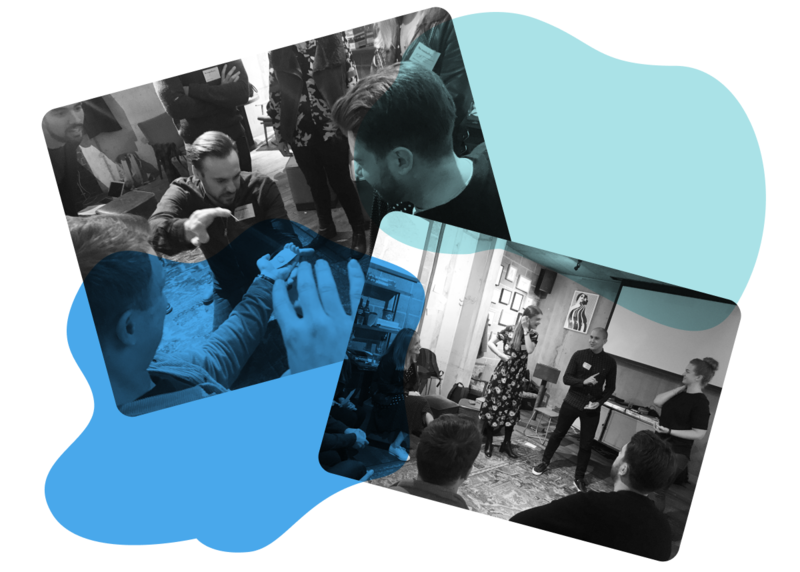 Inspired by principles of magic, we created a session to improve how the team works together creatively. We looked at three key topics: assumptions, perspectives and training the brain to be more creative.